Especially over the past year, when we have been hard at work on our joint-book, we have been focusing mostly on historical literary friendships on this blog. Reading the novels and stories of Jane Austen, Charlotte Brontë, George Eliot, Virginia Woolf and their friends has given us much to think about, as have our conversations about these important literary relationships. We’ve often been struck by how relevant the issues faced by these authors of the past still feel to female writers today – particularly in terms of the need to balance the desire to write with other pressing responsibilities. Austen’s great friend and governess to her brother’s children, Anne Sharp, had time to pen her theatricals only in the hours in between teaching lessons. 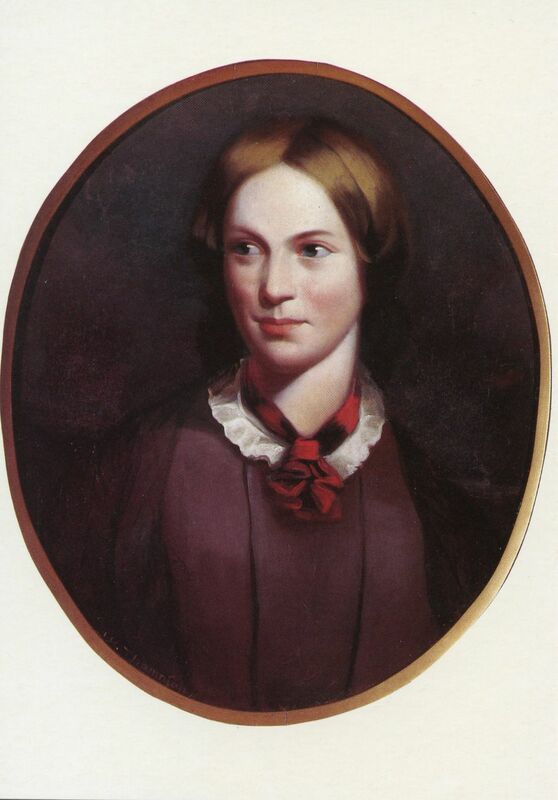 Before the tremendous success of her first published novel, Jane Eyre, Brontë faced similar struggles. But just as Sharp benefited from the support of Austen, who did her best to improve her friend’s work life, Brontë was lucky to have the future feminist author Mary Taylor to encourage her literary efforts. The two of us have been teachers for about a decade now and have thankfully never found it as limiting as Brontë, or even Sharp, did. We have been lucky in that, rather than teaching a broad curriculum, we are teachers only of writing – a subject in which we naturally have a genuine interest. Nonetheless, there have been times in both of our pasts when, being short of money or eager to get a foot in the door at a particular institution, we’ve taken on too many classes and our own writing has suffered as a result. 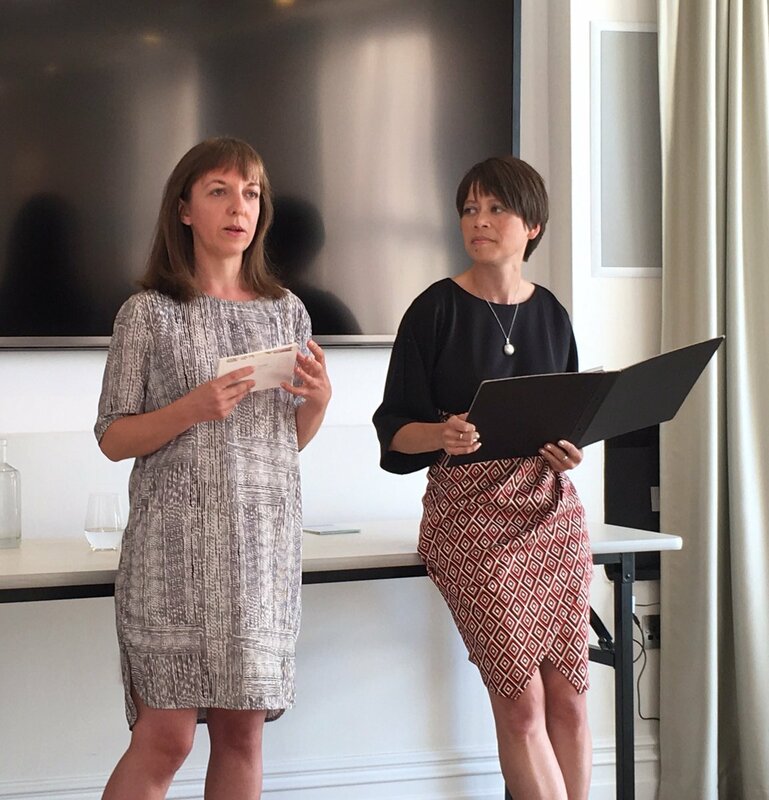 This need for authors to try and find the right balance been writing and other aspects of their lives came up at our recent Writing Friendships event at City, University of London, made possible by the generous support of Arts Council England. We were joined by writers Susan Barker, Ann Morgan and Denise Saul – all also former guest bloggers for Something Rhymed. The feeling among the group seemed to be that, although teaching (and teaching writing especially) can provide inspiration for an author, it’s important to fiercely guard your own writing time. But we all also felt that it was equally important not to cut yourself off from other people. In the talks by Susan, Ann and Denise, audience members were treated to insights about the literary friendships of each woman on the panel. Ann, the first speaker of the evening, talked about the important bonds she’d forged through her web project and non-fiction book, Reading the World. 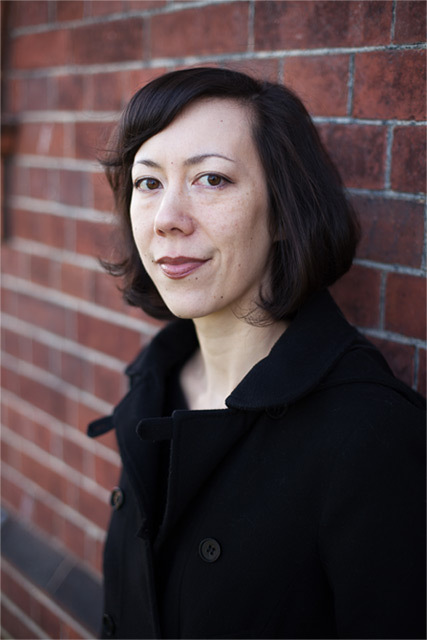 Susan spoke about the invaluable advice and support she’d received from Liang Junhong, a friend she met while she was living in China and working on her novel The Incarnations. Denise talked about collaborating with other artists as part of a video poem project, Silent Room: a Journey of Language. Audience member, Rosie Canning, has written up a fuller account of the evening, which you can read here. We are grateful to Rosie for commemorating the event in this way, and to everyone who came along to support us. We’re sure to be running more Something Rhymed events in the new year, so do keep an eye on our blog for more details. 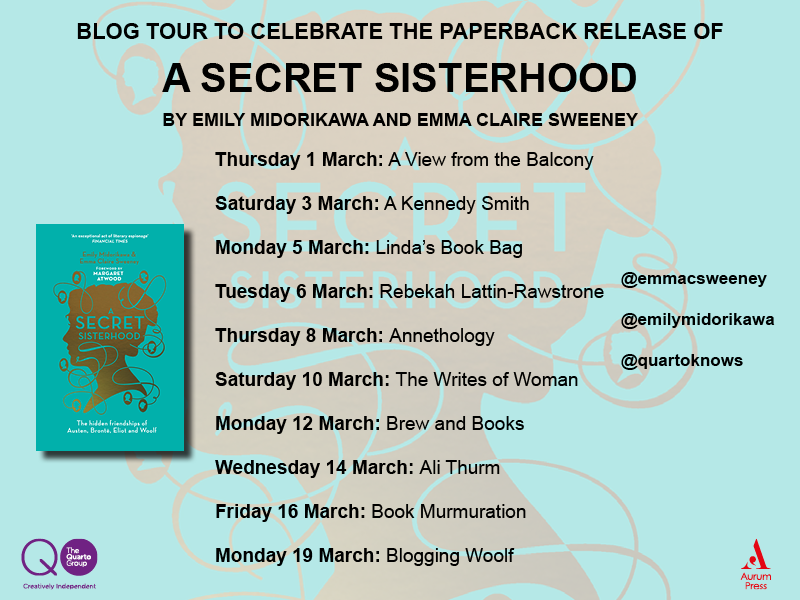 This year, Emma and I have spent a lot of time thinking about sisterhood – the kind of literary sisterhood we’ve been exploring here on Something Rhymed, and the ties that bind flesh and blood female siblings. Jane Austen enjoyed a famously close bond with her sister Cassandra. So did Charlotte, Emily and Anne Brontё; and Virginia Woolf and Vanessa Bell. 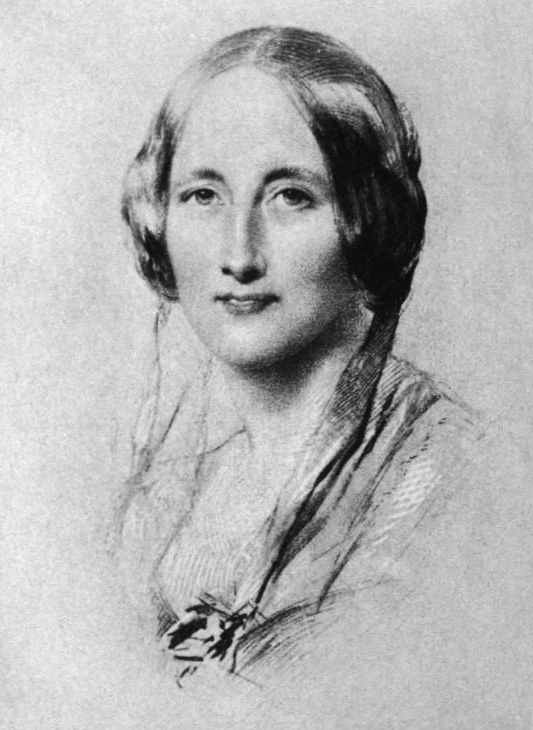 George Eliot by Frederick William Burton – this image is in the public domain. 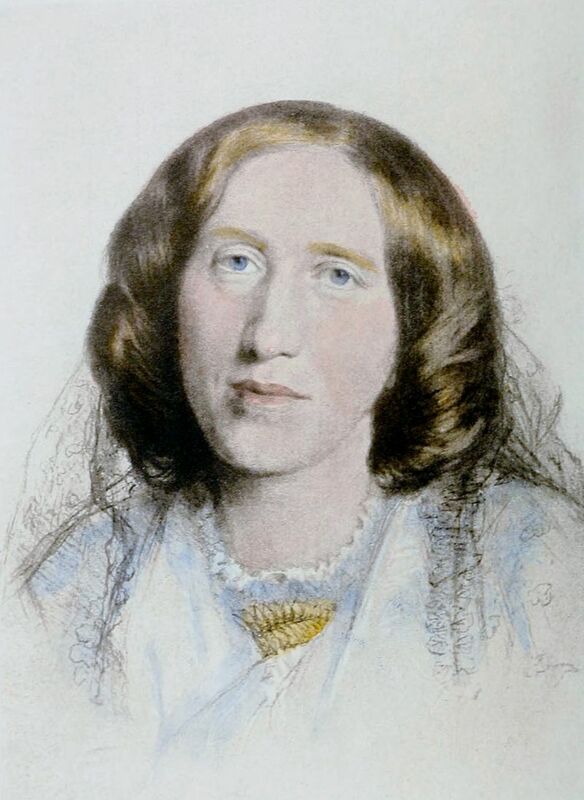 Unlike these other writers who will feature in our forthcoming book, George Eliot’s relationships with other family members had been brought to an abrupt end some fifteen years before she began her alliance with Harriet Beecher Stowe. In her mid-thirties, Eliot had begun to live out of wedlock with George Henry Lewes. On discovering this, her sister and half-sister had heeded the warnings of their scandalised brother and cut off all contact. This cruel treatment may have made Eliot particularly happy when she received her first letter from Stowe. In this missive of spring 1869, the American author – who Eliot had never met – addressed her both as a ‘dear friend’ and a ‘sister’. 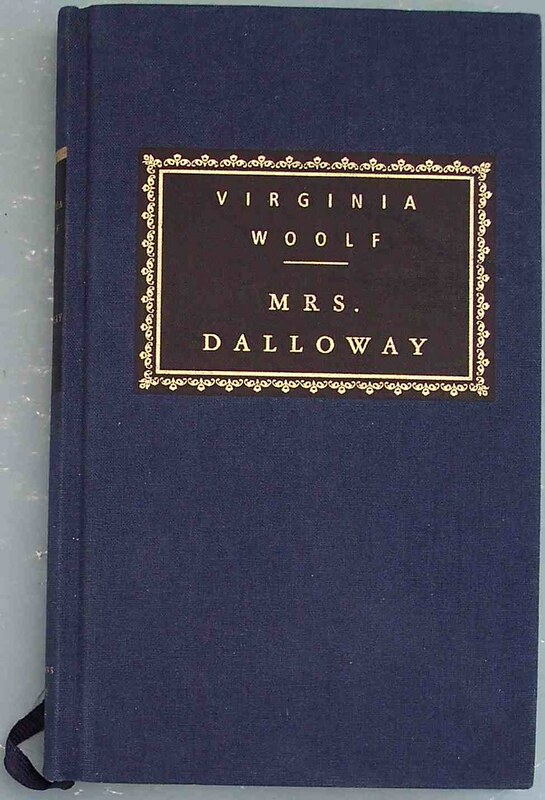 In Emma’s June post, she talked of reading Mrs Dalloway as a teenager with her sister, Lou. 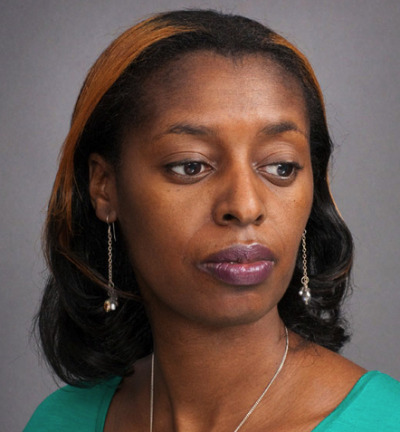 This got me thinking about my own sister, Erica, and the novels we enjoyed when we were young. I remember us both reading Jane Eyre and Wuthering Heights, and watching a BBC costume drama of The Tenant of Wildfell Hall, going to the cinema to see Sense and Sensibility, first encountering A Room of One’s Own. First edition title page – this image is in the public domain. Back then, we often used to talk about the books we read, sharing recommendations. I couldn’t remember us ever discussing Middlemarch, though. Although Erica is a year younger than me, I had come to Eliot’s work considerably later than her and by the time I read the novel we were no longer both living at home. As I have recently been re-reading Middlemarch, I thought I would ask Erica about her memories of the book. It was a long time since she’d read it, it turned out, so she remembered the atmosphere far better than the intricacies of the plot. The character she recalled best was Dorothea Brooke – the intelligent, deeply pious young woman, whose story (one of several major interlocking plot lines) opens chapter one. Dorothea struck Erica – who’d read Middlemarch as a teenager in the 1990s – as an amazingly well-developed character, a young woman who becomes locked into a marriage with a with joyless older man, and whose complex personality Erica found interesting on so many levels. It was with a sense of happiness that she recalled meeting Dorothea on the page for the first time and feeling, she said, that she was reading truly great writing. Well over a century earlier, the character of Dorothea had also captivated Harriet Beecher Stowe and, like Erica, there was a good deal she admired more generally about the book. 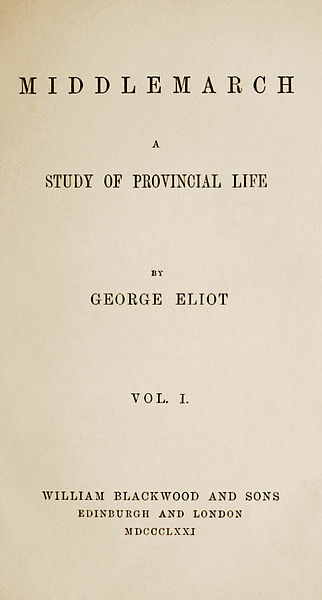 But Stowe’s letters to Eliot over the period when she was reading Middlemarch, in serialised form, also express her frustration with what she regarded as Eliot’s high-mindedness and her story’s lack of ‘jollitude’. Reading this time with Stowe’s criticism in mind, I couldn’t help feeling that the verdict was too harsh. There are more challenging passages to Middlemarch, certainly. The book’s Prelude, for instance, grabbed me far less than the first chapter proper, which introduces Dorothea. Her tale, too, is often sad, but none the less gripping for that. There are also quite a number of light comic moments, many of which I had forgotten. As Erica said, the main impression she retains of the novel is that of an enormous literary achievement – and one to which, having chatted about it with me, she would like to return. I would certainly encourage my sister to do that. As I have found, on coming back to Eliot’s novel at the age of thirty-six, Middlemarch absolutely rewards a re-reading. Just as Emma and I found when we returned to Jane Eyre some months ago, scenes that made the greatest impressions on me when I was younger are not always the ones that affected me the most now. This time round, with sisterhood on my mind so much of late, Dorothea’s relationship with her sister Celia is the one that stayed with me the most in between stints of reading the novel. Dorothea is serious, Celia more lighthearted. Dorothea’s mind is always on study and religious matters, whereas Celia is concerned with the day to day world around her. But despite their seeming differences, the two sisters – Kitty and Dodo as they affectionately call each other – could not be closer. Eliot and Stowe’s personalities were also markedly different, so different that many biographers have doubted that they could really have been friends. Eliot’s letters to Stowe reveal her as the more rational and measured of the pair. Stowe, by contrast, is impulsive, sometimes careless – occasionally shockingly so. But as the example of Celia and Dorothea reminds us, major differences needn’t be an impediment to friendship. 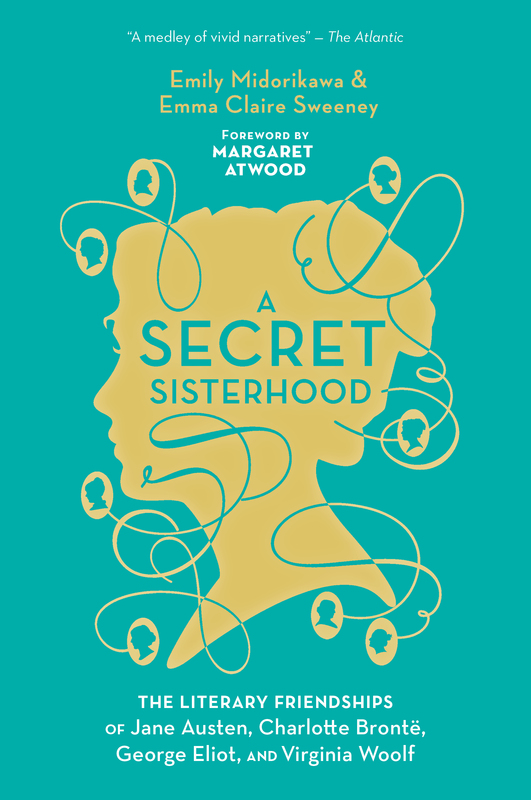 Familial ties were what united the Middlemarch sisters. For Stowe and Eliot, it was the sense that – for all that divided them – they were bonded together by being part of the same literary sisterhood. We’ll be discussing Harriet Beecher Stowe’s novel, Uncle Tom’s Cabin, and the impact it had on her friendship with George Eliot. We’ll also be running two friendship-themed writing workshops in Spalding and Boston (Lincolnshire), on Saturday 15th and Sunday 16th October respectively. We still have some tickets available, so if you would like to reserve a place, do please get in touch with us at somethingrhymed@gmail.com. More information about the workshops can be found here. Many thanks to everyone who came along to Saturday’s Margate Bookie talk on the literary friendships of Jane Austen, Charlotte Brontë, George Eliot and Virginia Woolf. We’ll look forward to sharing more stories about these authors and their friends in our forthcoming book, A Secret Sisterhood. Emma (left) and Emily talking about female literary friendship. Image by Jonathan Ruppin. For our readers based in or near Lincolnshire, or those of you who are able to travel to this part of Britain, we want to let you know about two more Something Rhymed events coming up soon. Dates & Times: We will be running the same workshop at two different venues. 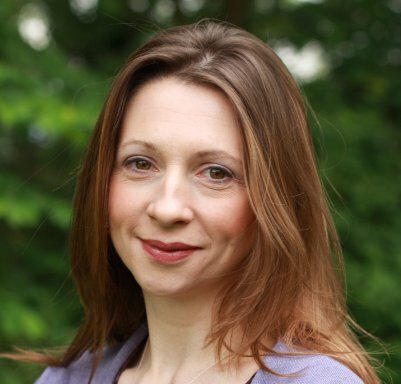 With practical writing exercises that can be tackled at different levels, these workshops will be open to experienced and novice writers – and, of course, both men and women. The workshops have been generously funded by Arts Council England. Places are free but limited and need to be reserved in advance by emailing somethingrhymed@gmail.com, indicating whether you want to attend the Spalding or Boston workshop. We do hope to see you at one of these events. In the meantime, do look out for the videos of our recent London literary salons. We’ll be sharing these here on Something Rhymed over the coming weeks. We are looking forward to seeing those of you who can make it at our upcoming literary salons at NYU London on Thursday 28 April, Wednesday 4 May and Thursday 12 May. Times: 6.30-9pm. Tickets are free, but must be booked in advance by emailing somethingrhymed@gmail.com.